Birds Flying High Necklace #1 has a total length of 33 1/2 inches. 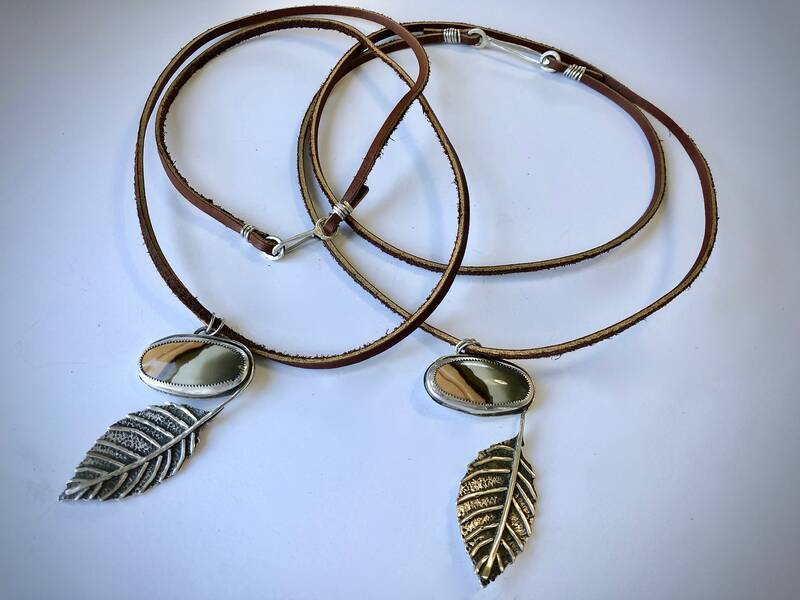 It can be worn either wrapped around the neck, as in the pictures and worn choker style, or as one long necklace. 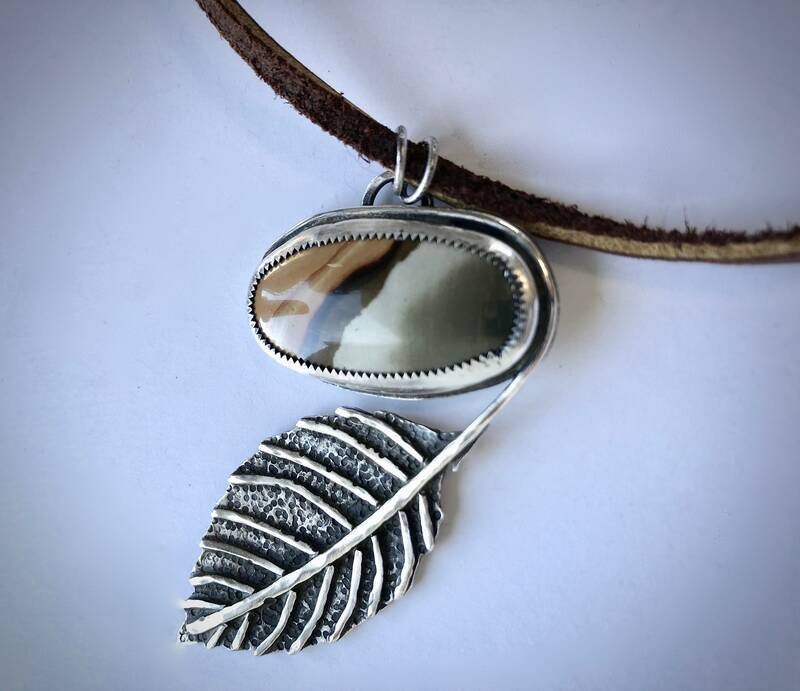 The pendant portion is made entirely of Sterling Silver, and features a flying bird and feather. 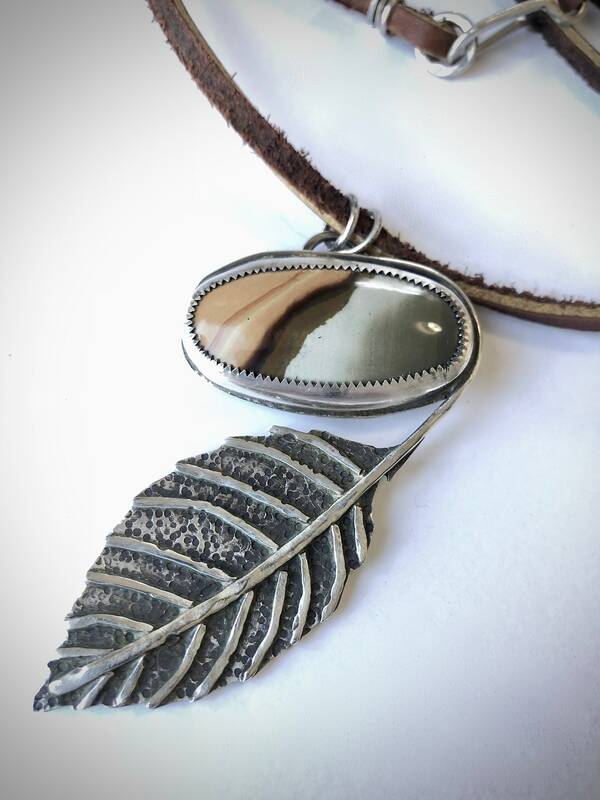 The chain portion is a soft yet sturdy piece of leather, with a handmade clasp of Sterling Silver.